The 2018 Farmer’s Almanac confirms that this winter will be cold, wet and rainy in the North East side of the country. Keene State College students have already encountered the adverse effects of rain when the Winchester parking lot flooded in early November. Students also have to face the dreaded flu, cold and cough wave going around campus as the months have gotten colder. The last thing any student wants is to get sick during finals week, when we are supposed to have our noses buried in books, not tissues. Not to worry though, because here are a few tips for staying happy and healthy during these next few months. 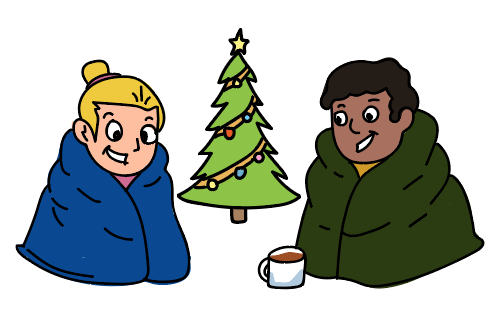 Contrary to popular belief, people don’t get sick from getting too cold or wet. Certainly there are things that can lower your immune system or make you more prone to becoming sick, such as tiredness or emotional distress, but cold weather is hardly to blame. According to the Unity Health Organization, the reason people tend to get sick during the fall and winter months is because they are indoors more often, and in closer contact with other people. This makes it much easier to spread germs and viruses. The best way to prevent yourself from getting sick is to wash your hands more often and be cautious of who or what you come into contact with. It’s much easier to get through finals when you are not suffering from headaches and congestion. If you are a student with a car on campus, be sure to start it up every week or so to avoid freezing the battery. AAMCO Transmissions Guidelines states that when temperature drops below 30 degrees, the car battery starts to die. Another way to avoid this is by purchasing a heated battery blanket, so your car can stay warm overnight. These blankets can be unplugged while you are driving and reconnected once you park again, so it does not overheat the battery. Also, if you find it hard to change gears or your gears occasionally slip, then your transmission fluid may be frozen. AAMCO reports that “Once temperatures drop below 35 degrees, the fluid begins to thicken and doesn’t perform as well as it should.” The only remedy to this problem is to allow the vehicle to warm up, either by leaving it on or pulling into a garage. Eventually, the fluid will melt and begin to distribute through the transmission properly. The Canadian Mental Health Association studied the effects of weather conditions on mental wellness. The association’s archivist, John Whyte, said, “I think the main effect of cold weather is isolation. People are less likely to go out and they don’t plan activities as much.” Indeed, the frigid temperature makes a good excuse to stay inside your room all weekend, but this eventually leads to more lazy behavior and feelings of loneliness. This lazy behavior comes naturally during the winter months, since our bodies need time to adjust. In part, humans rely on visual cues such as lightness and darkness to tell them when to sleep and when to be active. This keeps our bodies running on an internal clock, also known as a circadian rhythm. During the winter months, our circadian rhythm is thrown off, since daylight gets briefer every day. 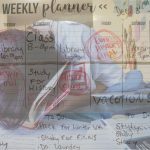 This causes people to feel sleepy and unmotivated, but students are expected to stay on top of their game for upcoming finals week. The best thing to do in this situation is heed Dr. Emerson’s advice. Dr. Emerson, from The John Hopkins Sleep Medicine Program, wrote an article stating, “The biggest mistake that people make when it comes to sleeping in winter is ignoring their body’s natural rhythm. Even if you’re tempted to stay in bed or on the couch all day long, unless you are sick, it’s a good idea to get up and move around.” So get out of the house, visit friends, go to the gym, or talk a walk while it’s still light out. Keep yourself busy this winter and you can outrun those winter blues.